“B.J. Saunders has voluntarily vacated the WBO Middleweight Title, and publicly apologized for his violation of the Massachusetts Athletic Commission’s anti-doping regulations”. “Therefore, the clash between Demetrius Andrade and Walter Kautondonkwa scheduled for October 20th will now be for the vacant World Crown”. “Also, I will recommend to the WBO Executive Committee that Saunders receives a six month suspension for his transgression”. The WBO Statement above reads very differently to the statements from Frank Warren, Billy Joe Saunders’ promoter, in the UK national press such as this statement on the BBC website this Morning, where Frank Warren says the boxer will give up his belt because of the “mental anguish”. He added the licence decision would be challenged in court. “Billy Joe will, with a heavy heart, relinquish his world title while this issue is being resolved,” Warren said. Saunders, who was due to fight Andrade in Boston on 20 October, returned an adverse finding for the stimulant oxilofrine, which Warren says was in a “common decongestant nasal spray”. 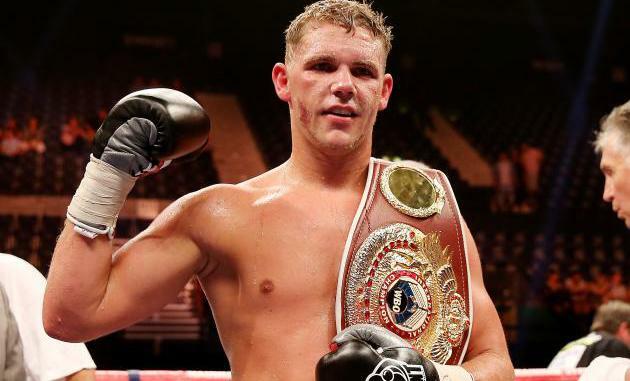 Saunders has insisted he is a “clean fighter to the bone”. Under World Anti-Doping Agency (Wada) and UK Anti-Doping (Ukad) rules, oxilofrine is only banned in competition. That means a fighter is in breach of the regulations only if it is found in their system on the day of a bout. But it is prohibited at all times by the Voluntary Anti-Doping Association, which tested Saunders on 30 August. Warren says it was “not a failed test” because the Massachusetts State Athletic Commission (MSAC) – which is responsible for issuing a licence to fight in Boston – did not follow Wada’s rules. World Boxing Organization (WBO) President Francisco Valcárcel Mulero commented today on Billy Joe Saunders inability to defend his World Middleweight Championship, as per contractually agreed, against Demetrius Andrade on October 20th. This after the Massachusetts State Athletic Commission voted today against granting him a boxing license following a failed doping test on August 30th. “It is unfortunate that a boxer as talented as Saunders is facing this controversy and will not be able to defend the title,” said Valcarcel today. “The WBO will examine the situation with due diligence and proceed according to its ‘Rules & Regulations’ decide which is the proper course of action”. Valcárcel, a practizing attorney, added that if Andrade fights the first available contender, the WBO Championship Committee will consider sanctioning the bout.